and now your Community Entertainment Center! 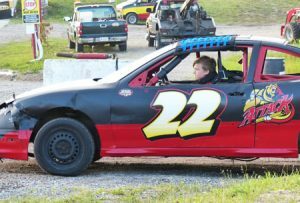 Offering Weekly racing from May through September. National Anthem at 6:00 pm, then feature races begin! Sunday Concerts and Endurance Racing on Long Weekends too! Itineraries for race features order can currently be found in the rules section on the website! Regular weekly racing tickets are available daily at the track office (519-369-6969) or at the Main Admission Booth on race days during business hours. The Crazy Trains, a favorite attraction for the fans of Full Throttle, consists of three vehicles chained together. 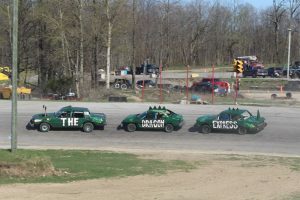 The lead car, or truck, is that of a regular racecar, while the tail cars have no engine or transmission. The tail cars will do all the braking for the train set in the race while trying to maintain keeping their cars straight. The train races are always exciting to watch and often see cars getting tangled together. 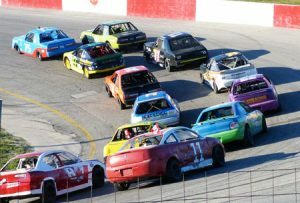 The Fun Stock class features four cylinder sub-compact and compact cars that are unmodified from its stock components. This division is a popular and fun starting point for many racers looking for very competitive racing. 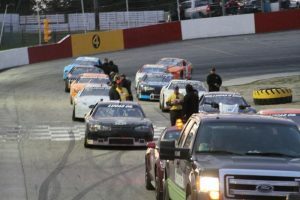 The newly designed class at Full Throttle Motor Speedway, geared towards first time racers up to 14 years old who are interested in learning about the sport. The cars in this class are sub-compact cars, such as Dodge Neon’s, and Chevrolet Cavalier’s. The Kid Stock class allows an economical option for beginners and gives a complete racing experience without the concern of rubbing fenders with veteran drivers. Contrary to their name, they are not mini size cars. 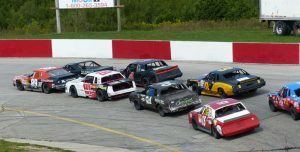 The Mini Stock class is another popular class at speedways in Ontario and features modified sub-compact and compact four cylinders cars. 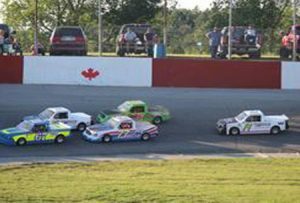 Performance parts and components make this division of racing very competitive throughout the province, making the drivers of these cars always looking for more speed. 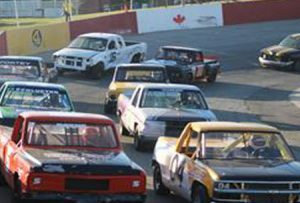 The Mini Truck class offers an alternative option to Junior Late Models for beginners. First time drivers and veterans are welcome in this division; each Mini Truck has a 13 horsepower engine and full roll cage. Drivers are protected by a full roll cage and complete set of safety equipment, all encased within a fiberglass body, as speeds in these trucks are capable of close to 100 kilometers per hour. These cars are very fast and produce well over 500 horsepower, with powerful custom built V8 engines. Aluminum, Fiberglass or plastic body panels look a lot wilder than the cars typically seen in NASCAR, and other professional racing series. 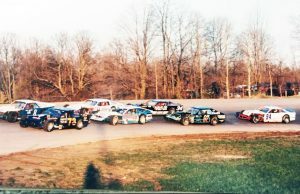 2019 will see the Late Model Class compete bi-weekly for the 2019 season. These trucks components are very minimally modified from stock and all feature V8 engines. This class is quickly becoming a popular choice among drivers. 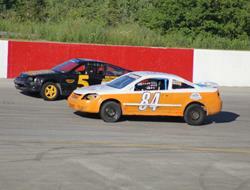 The Street Stock class is another popular choice among competitors at the speedway. This division features full size North American built V8 cars, with mostly stock components, and with a wide range of body styles, it makes for very exciting and competitive class to watch. Pro Four Modified are easy to identify on the track, as these cars generally have large slick tires which are exposed at all four corners. 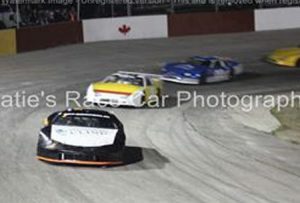 The bodies on these cars have a squashed look to them and have a NASCAR Modified version in style and possibly wings mounted to them. 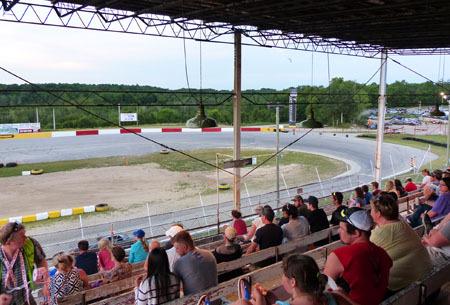 Pre-book with the Speedway before race night to ensure availability by calling the Speedway to reserve your spot at 519-369-6969. Overnight camping is FREE with the purchase of race tickets.